It’s Guy Fawkes Day today in the UK which also coincides with the paperback release of In Bitter Chill. 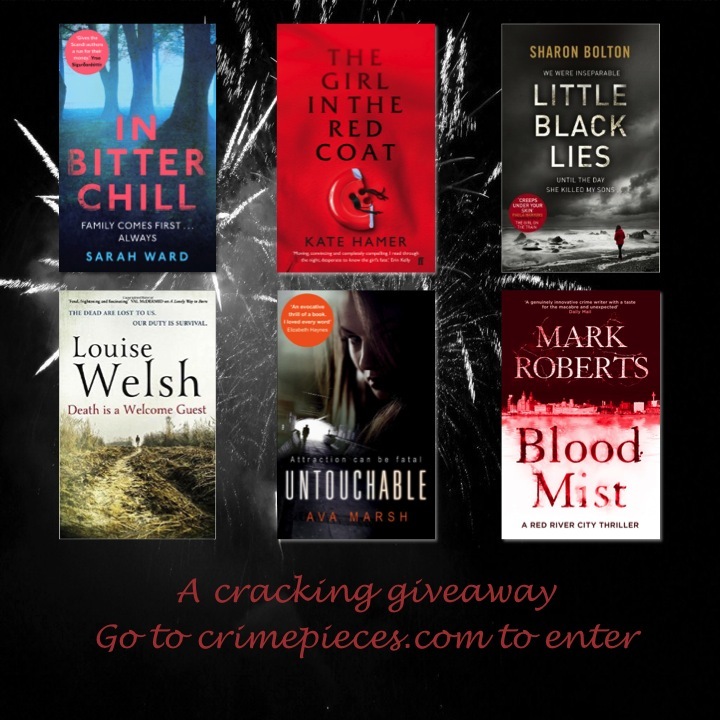 To celebrate, I’m giving away a signed copy of the book alongside five cracking crime novels that I’ve read this year. One of the nicest things about Crimepieces is that it has an international readership who have been with me since I started blogging in 2011. So the competition is open to everyone regardless of geographic location. All you need to do is fill your name and e-mail address or, of you’d prefer, your Twitter name in the contact form below. The competition runs until 6pm on Sunday. Thanks to all the readers of Crimepieces for your support since hardback publication in July. Your reviews, comments, e-mails and Tweets have been a great source of encouragement. How lovely of you, Sarah!! And what a great competition! Good luck with the compo, Sarah, and congrats on the paperback release! Sorry we didn’t make it to Nottingham the other weekend — alas, Things got in the way. We’re hoping to be in the UK next spring for Eastercon instead. Thanks, Paul. I assumed your plans had changed. Hopefully see you next Easter! Will you be at Eastercon? Our plans are pretty vague at the moment, but the notion is that after Eastercon in Manchester we go down to London for some time with the sprog, her geezer and the minisprog, so that we can spend a few days hopelessly spoiling the latter. I’m not certain where you are in relation to Manchester. It’d be great to try to get together for That Curry! How can I pass up this competition, Sarah. A signed copy of your book in paperback and 5 other books by authors I would love to try. I hope the publication of the paperback edition introduces you to even more readers. Thank you, Tracy and for entering the competition. I should have been here commenting on your book ages ago! I so so enjoyed it! 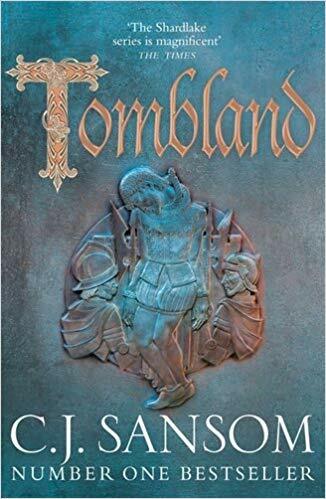 Very much the type of crime novel I like…character driven, involved in the human condition and the strange things that drive our actions….look forward to what comes next ! Thank you, Diana for your very kind words. I’ve just finished book two in the series which will be published next year. It’s always great to get positive feedback so thank you! Just give me your book as the name is enough for me to look for my thermals – so well done. Thank you very much, Robert. And thanks for entering the competition. Oh gosh, Sarah! I’m so glad I haven’t missed this! And thank you for highlighting these titles, and all the books you “bring” to us. My pleasure. And thanks for entering the competition.